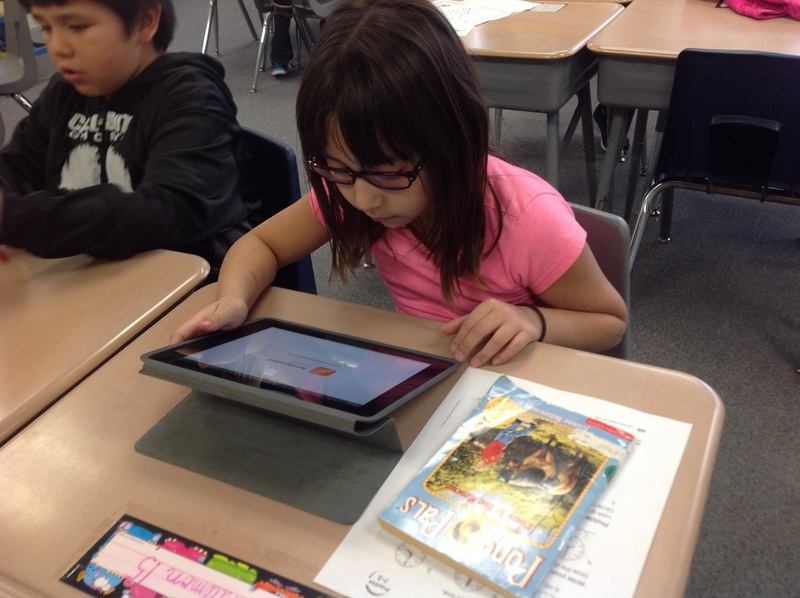 In Mrs. Erickson's 2nd grade classroom, students use iPads almost daily, including special time for projects. Pictured here are students doing tasks that were previously done with paper and pencil. 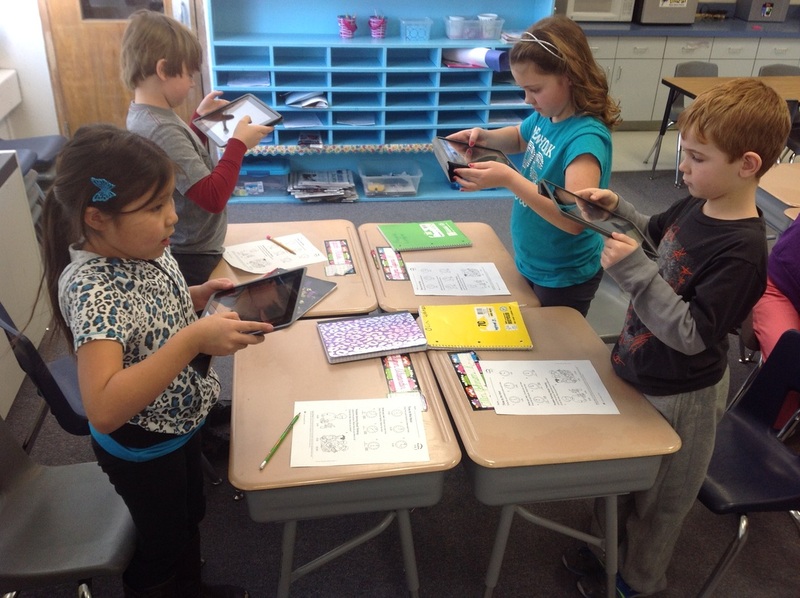 During math, students have the opportunity to practice at their own pace and level using mobymax.com. In reading, students receive instant feedback on comprehension and vocabulary using the Accelerated Reader app to test on the book that they just finished. Also, new this year, students in this second grade classroom are creating their own electronic portfolio. Students are pictured here taking photos to document and post work in their portfolios. This year in Mrs. Lesnieski's class, 2nd grade students are learning how to blog. At least once a month, the students meet with the high school Media Arts class to type in their blogs. Each session allows the students to work together in a mentoring situation as well as practice their writing skills. Students write about different topics, including their wishes for Christmas and what it would be like to be cupid. 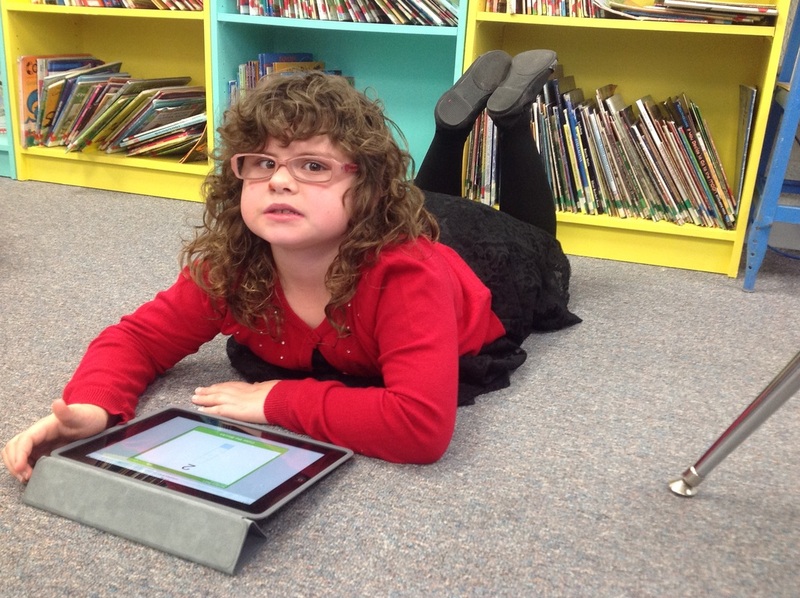 Both classes enjoy working with their "buddies" and practicing this new skill of blogging at such a young age.